You can gain first clear income once after every new Tour Stage cleared, and can obtain rare SR or SSR Player directly after clearing special stages. When you are on line, Tour auto battle at the highest cleared stage. During offline time, 24 hours income can be saved at most. You can use Quick Match Card or Diamonds to purchase 4 hours income to immediately obtain fixed income of each hour’s reward*4 of the highest stage. Purchasing Monthly Pass can increase purchasing 4 hours chances. In game, football players’ BP is a big part of BP enhancement. 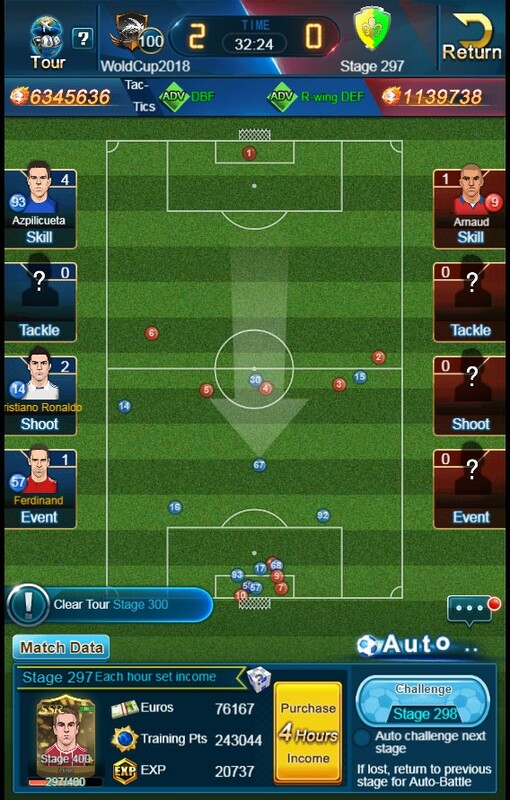 You can obtain players through Scouting, Tour, Playoffs and Shop. After purchasing Tenure Pass, you can claim Privilege Giftpacks and obtain Neymar Shards daily. Lots of Server Launch events and other events are waiting for you, please come join the events to obtain benefits. Using Tech Pts to search for Gear Report and advancing Gear can increase stats. The highest quality Report must be obtained after searching every 20 times. After enhancing, next enhancing is after 8 hours and V10 or above can finish CD time immediately. 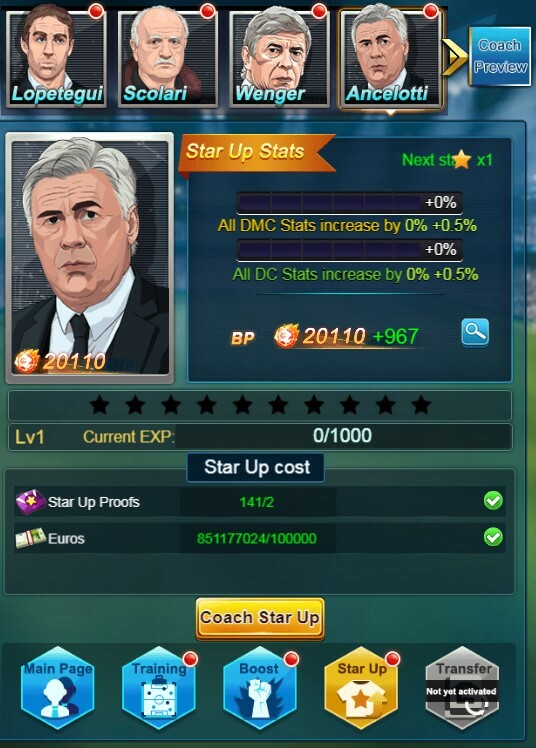 Managing Club can produce Euros, Tech Pts and other resources, which is an important source for players to obtain Upgrading and Star Up resources. Purchasing Monthly Pass and upgrading VIP level can increase income. Club Rank Up requires players to clear the corresponding chapter in Playoffs. 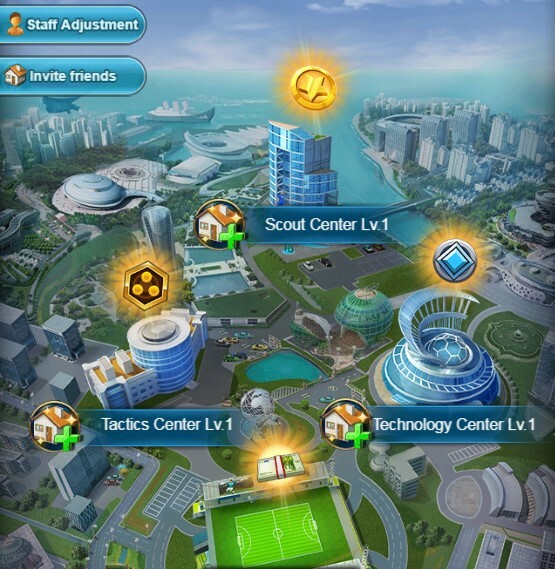 The corresponding building can be unlocked after Club Rank Up. Players can invite friends to station to increase income, income can be claimed every 8 hours by stationing other friend’ building. Go to invite friends to play together. “World Cup 2018”provides Unique Giftpack and free Daily Giftpack for VIP players. VIP level can upgrade by increasing VIP Pts. 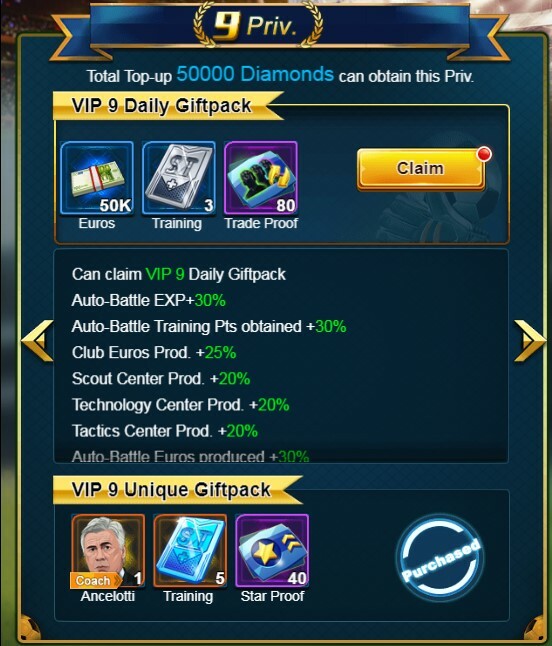 VIP Pts can be obtained through Daily Top-up, Sign-in and activities. 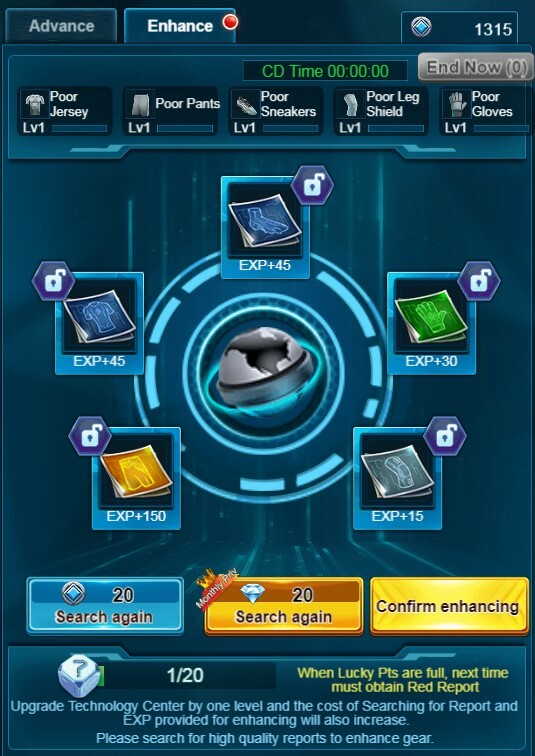 You can spend 200 Diamonds to create Guild. Guild members can Luxury or Normal Donate daily to increase Red Pack’s progress. After Red Packs reach a certain progress, Leader or Vice Leader can send them from 20:00 to 22:00 daily. If Red Packs are not sent by 22:00, system will send them automatically. 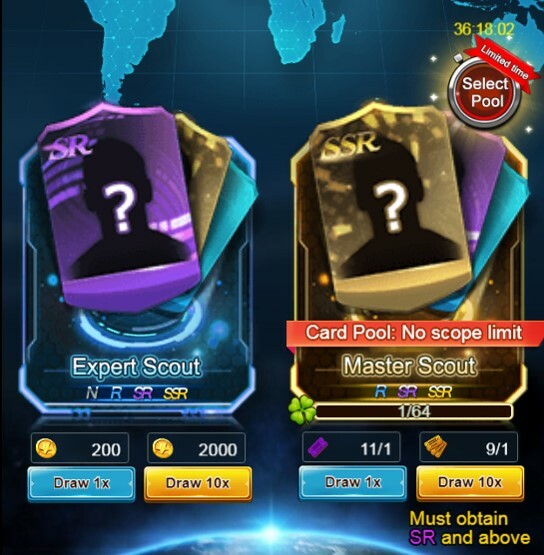 After Guild Red Packs are sent out, they will automatically disappear at 19:00 the next day. 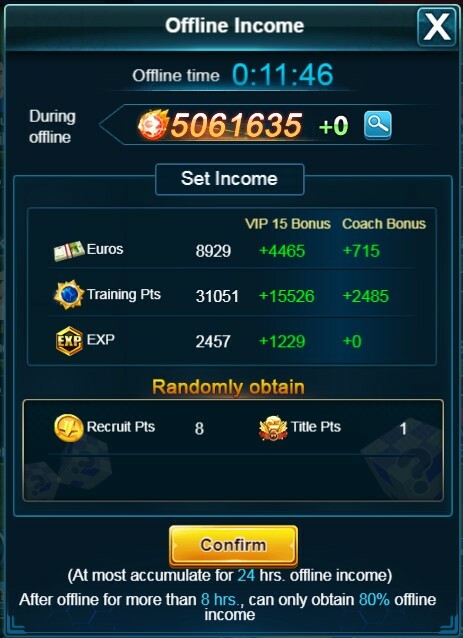 Activating Coach can increase all Players’ stats, different position Players’ stats bonus and Club Buff, which is a great help to enhance BP. Offline income of Tour can be saved for 24 hours at most. Resources produced in Club can be saved for 48 hours at most. Playoffs chances restore once each hour, restoration cap is 10 chances. Remember to come back to game in time!